Prince Bubacarr Aminata Sankanu, an award-winning Gambian film scholar, producer and journalist, has become his first countryman to be democratically chosen as candidate in the 2017 elections in Germany. 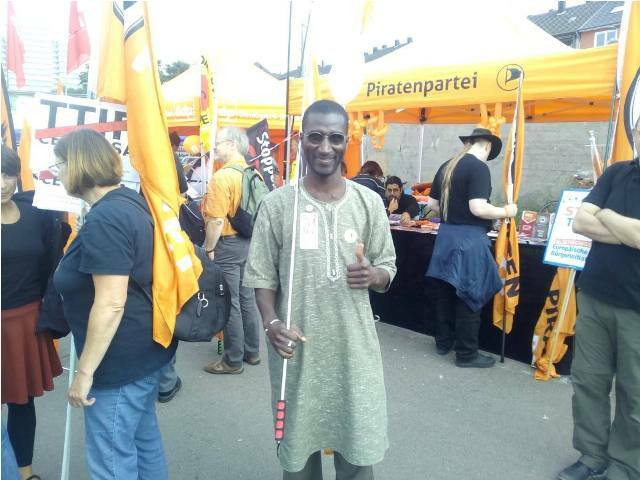 Sankanu, who enjoys dual citizenship as a Gambian and a German national, was chosen on 5th September 2016 by the German Pirates Party (Piratenpartei Deutschland) during its primaries as its candidate for the upcoming parliamentary elections of the federal state of North-Rhine Westphalia (NRW). “I would like to thank my fellow Pirates for the trust and confidence in me. 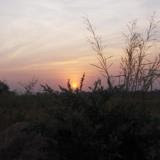 I have been living in this country since 1998 and I understand the mentality of the people,” Sankanu said. Parliamentary elections in European country are scheduled for 14 May 2017. Sankanu will be running for Wahkreis 17 (Constituency 17) in the south-east district of Cologne-Porz covering 19 boroughs. It has a combined population of 139,432 and is home to strategic institutions such as a garrison of the German army (Bundeswehr) and air force (Luftwaffe) base, national aeronautics and space research centre, the European Astronaut Centre, the historic Deutz AG engine factory, the Merheim teaching hospital of the University of Witten/Hardecke and the Cologne-Bonn international airport. “The best way of challenging the growing right-wing sentiments is to allay the fears of the populations,” said Sankanu, the Pirates Party’s Commissioner (Beauftragter) for Sub-Saharan Africa. TNBES understands that Germany’s migration debate has seen growing opposition to German Chancellor’s policy on migration. Merkel herself admits to “mistakes” this week to allowing the influx of refugees. Last week, Mr. Sankanu said the debates on the pressure on social services, safety and public infrastructure are getting emotional. The German Chancellor Dr. Angelo Merkel’s popularity is affected. He said her governing Christian Democratic Union and the Social Democratic Party coalition partners are losing votes to the right-wing populist parties. The German Pirates Party was founded in 2006 by a group of progressive and dynamic men and women who want to break-away from the obsolete political practices. The party is represented in the EU parliament. It has 205 seats in municipal and rural councils across German states of Baden-Württemberg (10 seats municipal seats), Brandenburg (16 seats), Hamburg (4 seats), Mecklenburg-Pomerania (9 seats), North-Rhine Westphalia (114 seats), Rhineland-Palatinate (12 seats), Saarland (13 seats), Saxony (6 seats), Saxony-Anhalt (11 seats) and Thuringia (10 seats). At state levels, the Pirates have 19 seats in the parliaments of NRW, 15 seats in Berlin, 4 seats in Saarland and 6 in Schleswig Holstein. The Piratenpartei Deutschland is part of the Pirate Parties (PPI) International. A global network of pirate parties in Iceland, Canada, Finland, Italy, Holland, Serbia, Ukraine, Austria, Chile, France, Japan, New Zealand, Sweden, UK, Argentina, Colombia, Kazakhstan, Peru, Switzerland, Croatia, Belarus, Belgium, Brazil, Czech Republic, Denmark, Greece, Hungary, Israel, Mexico, Estonia, Latvia, South Korea, Poland, Portugal, Rumania, Russia, Slovakia, Slovenia, Spain, Turkey and USA.